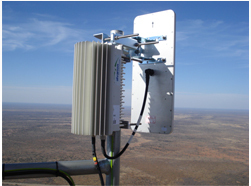 Rampoint provided Telecom Namibia with a 3.5 GHz FDD Alvarion WiMAX solution to replace its legacy wireless technologies in urban and rural areas across the entire country, including Windhoek. 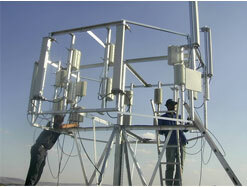 The platform provides broadband data as well as primary voice services. Rampoint provided Orange Botswana (via France Telecom) with a 2.5 GHz TDD 802.16e Alvarion WiMAX solution, enabling it to diversify from its current GSM operations and start to offer broadband voice and data services. Rampoint provided MWEB SA with a 5.4 GHz Alvarion PTMP solution, enabling it to offer DSL replacement services to the SME market. The Access network was backhauled with Radwin 2000 PTP links. Rampoint provided Medi-Clinic with a turnkey solution to create a private network connecting the hospital to surrounding doctors, thereby allowing access to online radiology information and other services. An Alvarion BA-VL PTMP system was used. This is a good example of using unlicensed band equipment in a vertical market application. Rampoint supplied Cell C with hundreds of Radwin PTP links in order to build temporary and redundant backhaul transmission links for their rural and urban GSM base station network. This is a good example of where unlicensed band products can be successfully deployed in rural and urban environments to deliver carrier class services.